Nice looking vinyl tent. Perfect for weddings, graduation or family reunion. We will set your tent up the night before, giving you plenty of time to decorate and organize your tables and chairs under the tent. 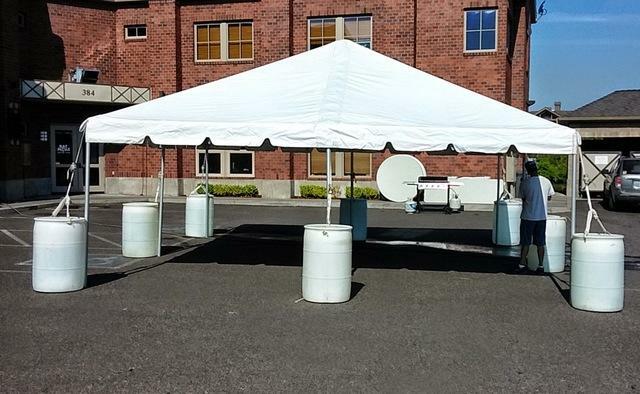 Water Barrels are need it if placing the tent on concrete or asphalt, also used on grass when underground pipes and/or cable locations are unknow. We will also set up the extension cords for lighting but DO NOT provide the light bulb.